Nuri Sahin’s return to Borussia Dortmund in January 2013 came just six months after another prodigal son - Marco Reus - also came back to his boyhood club. 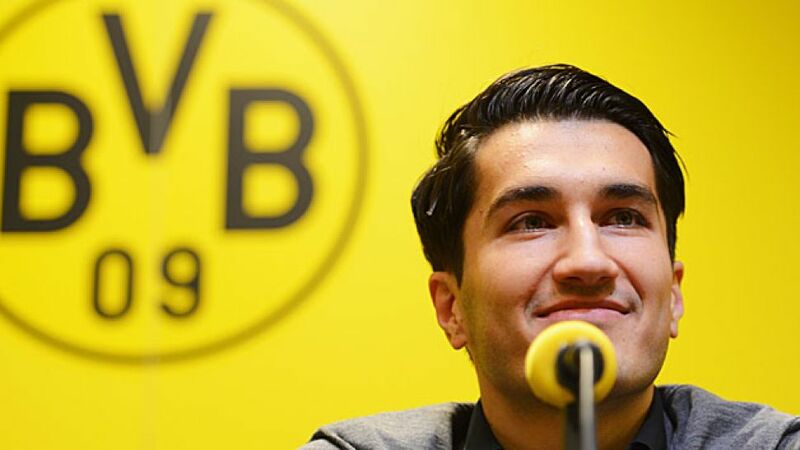 Born to Turkish parents on 5 September 1988 and growing up half an hour from the club's stadium in Meinerzhagen, Sahin joined the Dortmund academy in 2001 and began an enduring love affair with die Schwarz-Gelbe. Progressing with staggering speed through the club’s youth teams, he was deemed ready for senior action as early as the 2005-06 season. On 5 August that year, Sahin became the youngest ever Bundesliga player when he featured against VfL Wolfsburg, aged just 16 years and 335 days. He went one better a few months later, becoming the German top-flight's youngest ever goalscorer with a strike against 1. FC Nürnberg in November. Following a loan spell at Dutch outfit Feyenoord for the 2007-08 season, he returned to Dortmund and quickly became indispensable, missing just 14 league games over the next three seasons. His proudest moment was undoubtedly the finale of the 2010/11 season, as Dortmund won their first Bundesliga title in a decade, with Sahin playing 30 times and scoring six goals, including home and away against FC Bayern München. The Turkish international departed the club when nine-time European Champions Real Madrid came calling that summer. Yet he found first team opportunities limited in the Spanish capital, and it was a similar story in the Premier League with Liverpool FC, whom he joined on loan at the start of the 2012/13 campaign. A star as bright as his couldn’t be stifled, though, and he seized the opportunity to return to Dortmund in time for the second half of the 2012/13 season. That chance almost turned into a dream come true for the hometown boy, Dortmund went all the way to that season's UEFA Champions League final, losing to Bayern at the last. Sahin shed tears after the loss for the second time in Dortmund colours, the first was when he left the club. You can be sure though, that with a squad as strong as Dortmund's 2013/14 incarnation, tears of sadness will be replaced by tears of joy sooner rather than later.